In the past, India has been fortunate to leapfrog generations in several technologies, mobile wireless being one that readily comes to mind. However legacy did not matter as similar opportunities beckon yet again. For example, a well thought out, well executed Artificial Intelligence strategy, can propel India into a different league. Similar are the cases with Blockchain and IoT – with several states adopting Blockchain, and leading manufacturers implementing IoT to improve productivity. The Indian Express Group recognizes the dynamism and enthusiasm shown by the Government of India and Major Enterprises in aggressively pursuing their plans to digitally transform themselves, and we believe that this is a perfect time to hold a national conference on emerging technologies covering AI, Blockchain, IoT and Big Data Analytics. 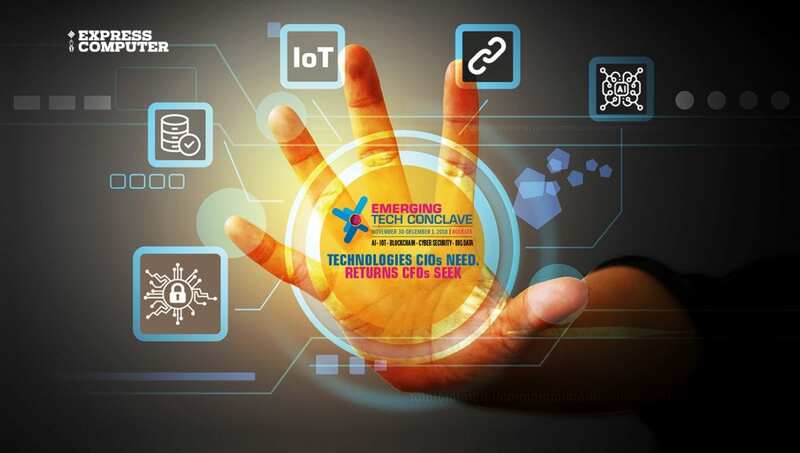 The conference, Emerging Tech Conclave will be held in the ‘City of Joy’ – Kolkata, November 30 – December 1, 2018. The Indian Express Group proposes to create an effective conference agenda that will feature thought leaders sharing knowledge, insights, case studies and best practices. The conference will also explore the rise of the digital CFO, given that CFOs play a strategic role in data-driven value creation (turning data into insights), cross-functional collaboration (enabling real-time virtual collaboration while being compliant) and cyber security. For CFOs, digital technologies will play a key role in capital allocation, measurement of value creation and in proactively addressing risk and better management using centralised dashboards and digital workflows; allowing for real time alerts using analytics. The conference will be an enriching blend of keynote sessions, panel discussions, thought leader insights and partner presentations. The focus will be on real-world IT deployments, the latest solutions and business insights that attendees (CIOs / CTOs / CFOs) can put to practical use. We invite you to partner with this conference, and build vital and stronger connections with the industry leading lights, decision makers and budget holders who matter the most to your business.